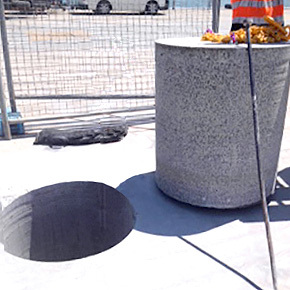 Along with concrete cutting we offer specialist core drilling services for both wall and floor penetration for both small and larger projects in the Monbulk area, and surrounding suburbs. With hand-held drills, with a diameter of 125 mm, hard to get at locations can be drilled – especially in combination with a scissor lift or boom. Furthermore, when mounted on supports, precision drilling can be achieved in variety of angles. With our years of experience in core drilling we are able to advise on ways in which drilling could be used to solve a range of problems that might arise in building. We pride ourselves on our ability to apply creative approaches to solve problems that our clients bring to us. Core drilling can also be used as an alternative to sawing in situations where the nature of the project does not accommodate it. For example ‘stitch drilling’ is a method of using core drilling to cut deeper than is possible by sawing while also enabling access to difficult areas. We can drill up to a diameter of 450 mm using a standard core drill mounted stand. Our experience in using hand-held and mounted core drills provides our customers with the confidence of knowing there is usually a solution at hand to any problem requiring drilling. 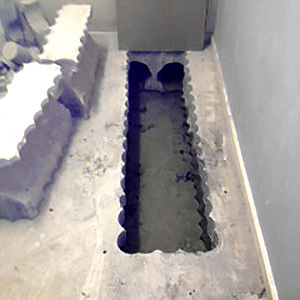 Larger cores, up to one metre in diameter can also be achieved using specialised equipment. 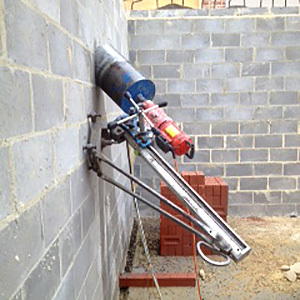 Call us today on 1300 942 385 to discuss your concrete drilling project; large or small.